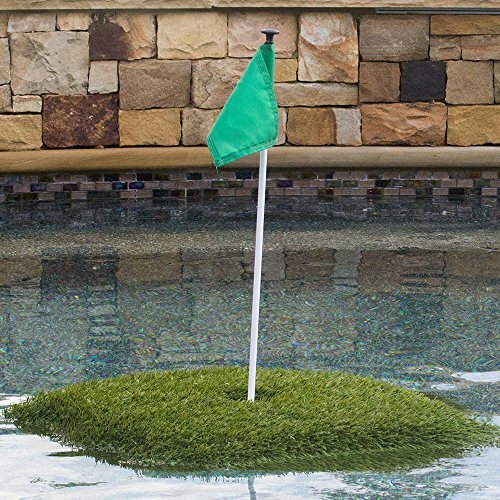 Enjoy fun in the sun with this compact floating golf set. Featuring neighborhood-safe balls that won't break windows, this floating green assembles in just minutes for fun right out of the box.Material: PlasticColor: GreenThis product will ship to you in multiple boxes. Color: GreenThis product will ship to you in multiple boxes. If you have any questions about this product by Retail Turf Solutions, contact us by completing and submitting the form below. If you are looking for a specif part number, please include it with your message.